An indispensable tool in my kitchen. 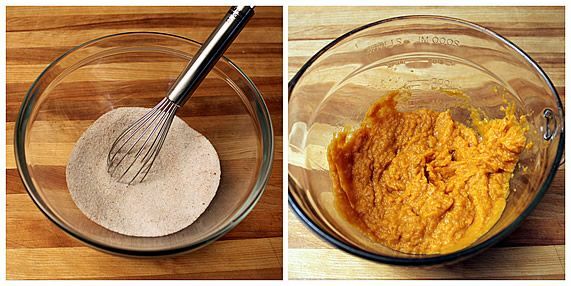 It's all you need to mix up the pumpkin pie filling. This is my Grandma's recipe--an old time family favorite. It also happens to be Libby's Famous Pumpkin Pie recipe found on the back of their pumpkin cans since the 1950's. Preheat oven to 425 degrees. 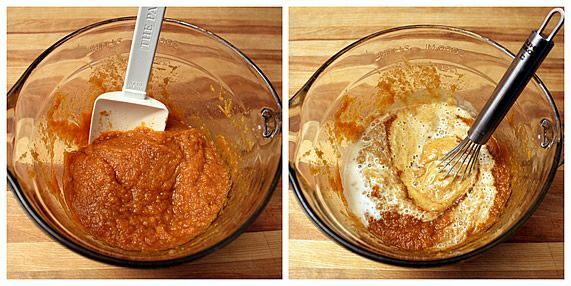 In small bowl, whisk together the sugar, salt, and pumpkin pie spice. In a large bowl, add the pumpkin and stir in the sugar mixture. Whisk in the eggs and than gradually whisk in the milk until well combined. Pour mixture into prepared pie shell and bake at 425 degrees for 15 minutes. Lower heat to 350 degrees and continue baking for approximately 45 minutes. 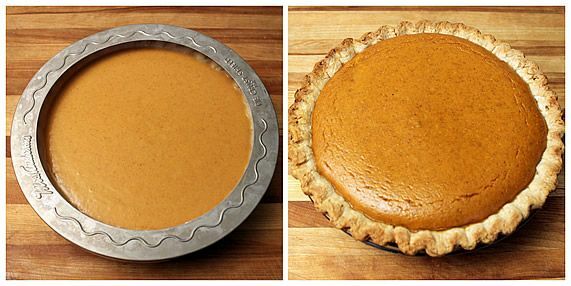 To check for doneness, insert a knife in the center of the pie; it should come out clean. If it's still runny in the center, return it to the oven for a bit until it's firm. 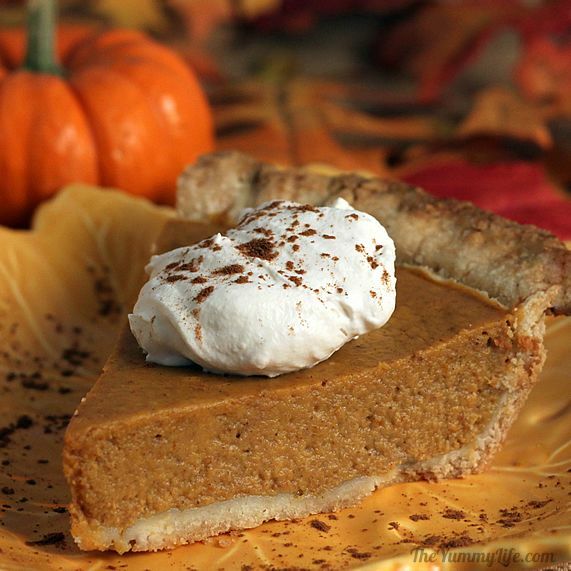 TIP: To prevent the pie crust edge from burning as it bakes, cover with a pie crust shield or pieces of aluminum foil. 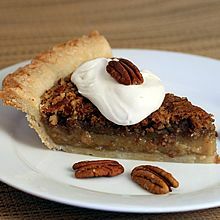 My last post was about my Grandma's Pecan Pie. In my kitchen, pecan pie and pumpkin pie are prepared simultaneously, first thing in the morning when I get up, so they are both freshly baked and ready for our Thanksgiving and Christmas tables. I bake the two pies at the same time. 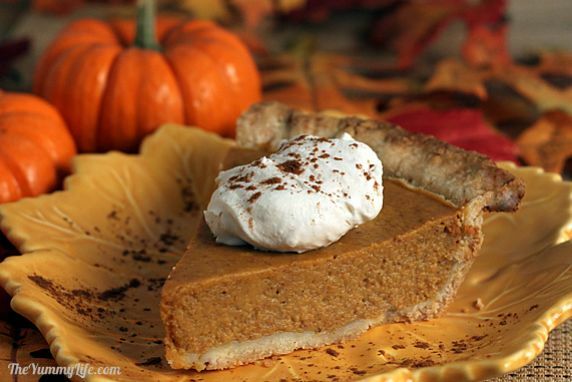 First I make the pumpkin pie and put it in the oven (the first 15 minutes bake at a hotter 425 degrees). Meanwhile, I assemble the pecan pie and add it to oven when it's time to lower the pumpkin pie temperature to 350 degrees. They both bake at that temperature and are finished baking around the same time. The turkey goes into the oven shortly thereafter. I've been doing this for over 30 years. These recipes that I learned from my sweet Grandma Ruby are never varied. No fancy add-ins or toppings. There's loooong family tradition here that simply can't be messed with. When I was in high school, I asked my Grandma for her pumpkin pie recipe that I'd always loved. She went to her cupboard, took a can of Libby's pumpkin off the shelf, tore off the label, and handed it to me. "Here, Moni." (her nickname for me) Turns out my Grandma's famous pumpkin pie was made from the recipe that Libby's had been putting on their pumpkin cans since the 1950's. Grandma didn't see any need to change it. Libby's recipe was perfect as far was she was concerned, and I agree. This is a classic recipe, and it also happens to be one of the easiest pies you can make. 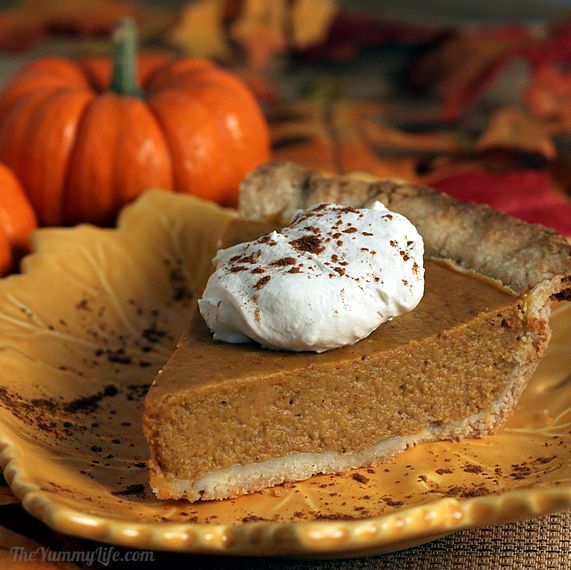 pumpkin pie spice (or a combo of cinnamon, ginger & cloves); if you want to make your own pumpkin pie spice to have on hand or give as gifts, here's my recipe. Step 2. Whisk together the sugar, salt, and pumpkin pie spice in a small bowl. Add the can of pumpkin to a separate large bowl. Step 3. Add the sugar mixture to the pumpkin and stir to combine. Step 4. Whisk in the eggs and gradually whisk in the milk until well combined. Step 5. 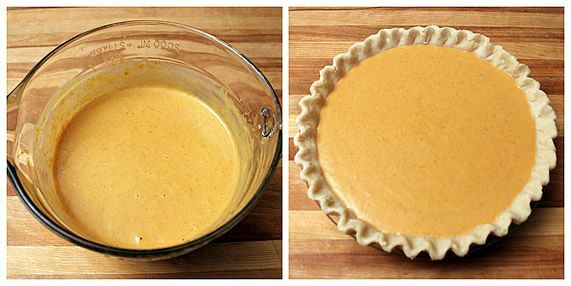 Pour the mixture into a prepared pie crust. WARNING: Don't over fill the crust! It will expand some as it bakes and can overflow and make a mess in your oven. This entire recipe fits in my pie plate, but all pie plates are not the same. Some are deeper than others. Leave at least 1/2 inch of pie crust edge to allow for expansion. Step 6. Bake the pie. The oven should be at 425 degrees for the first 15 minutes, and then the heat is lowered to 350 degrees for the remaining 45 minutes. To check for doneness, insert a knife in the center of the pie; it should come out clean. If it's still runny in the center, return it to the oven for a bit until it's firm. Here's a slice of my Grandma's (uh, Libby's) Famous Pumpkin Pie. A dollop of whipped cream is all it needs. My sister, Nelda, and I grew up with a morning-after-Thanksgiving tradition of having a leftover piece of pumpkin pie for breakfast. T-Man (my son and technie guy for Yummy) happily carries on the tradition. Hey, it's healthier than a donut... right?